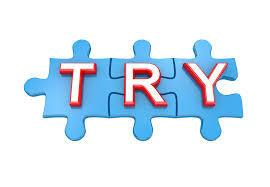 Try is a great word. It is also a vulnerable word. And vulnerability can be a scary thing as a teacher. I have been in three classes over the last couple weeks where teachers talked about something they were trying. Each time, the word really stood out. Try implies uncertainty. All three of these teachers were unsure how it would go, it was a bit of an experiment, it was their own inquiry just like their students were doing. The teachers, in all their vulnerability were modeling lifelong learning. They were trying things, some would work, others won’t, and they will refine and try again. You can call it a design cycle or an inquiry model but I think of it as culture. This is exactly the culture that I want us to continue to have. I want us to have a culture of trying stuff. We want our students to be fearless learners, so to for the adults that work with them. It is such a great word.